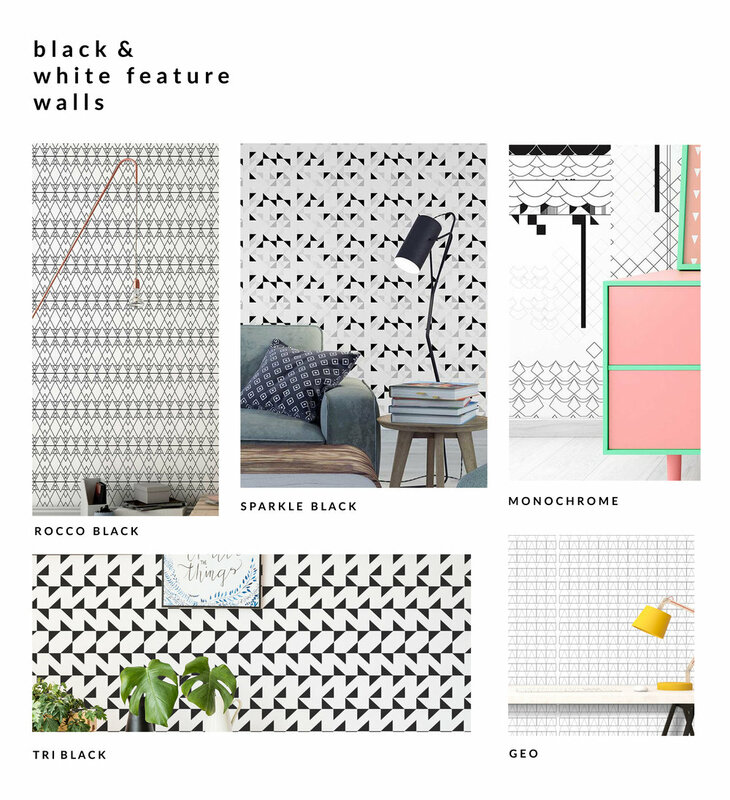 Create a statement feature wall with our black and white wallpapers within our range. Accessorise with pops of colour or soft pastels within your interior scheme. Our wallpapers are designed and digitally printed in England on a 180gsm non-woven matt wallpaper from a FSC accredited source, printed with solvent-based pigments. European fire rated suitable for hanging anywhere in commercial or domestic premises. Each roll retails for £95 and is 52cm by 10m. We ship worldwide.